Children are told that hedgehogs don't like the rain. They don't. They investigate what materials in nature could be used to make the best waterproof roof. They make a roof for a shoe box and then see which roof is the best at keeping out the rain! 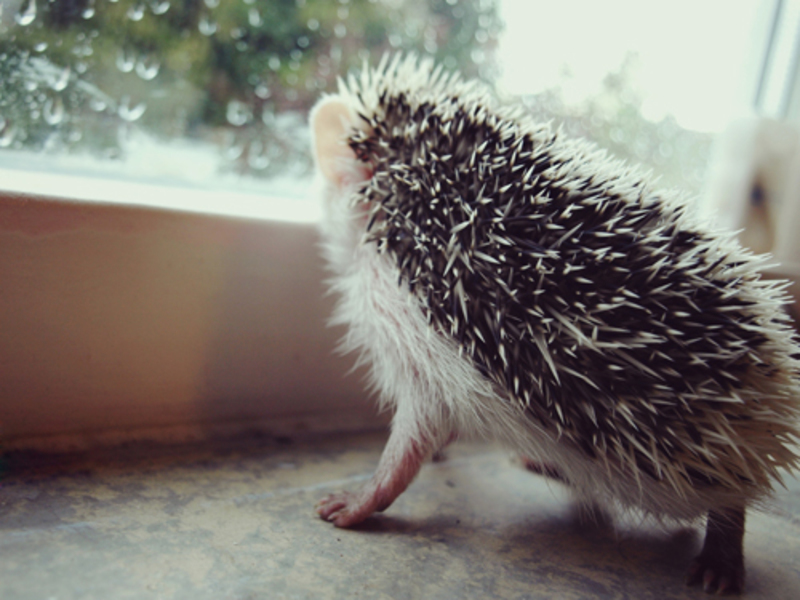 After a little research on the internet, I found out that hedgehogs don't like the rain. They shelter from it. Discuss the reasons animals need shelter with the children. Look at the objective- to make a roof for an open shoe box and to see which roof can keep the most water from the 'hedgehog'. An empty egg box can be used for the 'hedgehog' (great for seeing how wet it gets as the cardboard absorbs the water and changes colour). Think about what materials could be used? Leaves, sticks, mud, grass... What other properties of the roof would it be useful to think about? Angle for the water to run off? Depending on the age of the children and what you hope to get out of the session, the children could research 'best materials for a shelter'- but that takes away the fun of finding out, doesn't it?! Allowing time for the children to explore, find materials and then come back together as a group to design their roof using the materials would give more structure and give better results. Children could be given some hessian style string to use, or make their own- see the 'How strong is a piece of string' activity. Once the children have made their roofs, they are then placed on top of the open shoe boxes containing the egg box, and water from a watering can is sprinkled over. For a more competitive element, the children are given the same materials to use. It is then their designing and building skills that is being tested.